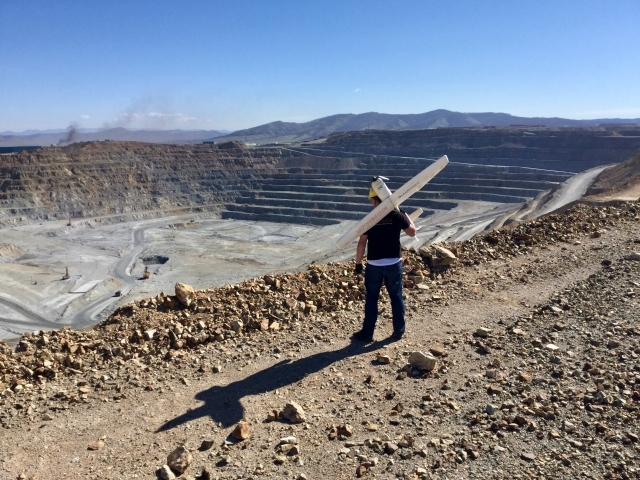 In early May 2018, the Czech company UpVision used an unmanned aerial vehicle (UAV) to map a copper mine in Mongolia – the largest in Asia – as part of an ongoing Czech geological expedition at the site. More than 10 square kilometres of the mine and its surroundings were mapped using the MaVinci Sirius unmanned aircraft. UpVision has been using the MAVinci UAV for similar missions for more than five years, in particular due to its suitability for flying in difficult terrain, manual flight mode and the possibility to repair the UAV directly on site if necessary. The main geospatial output of the mapping activities was a detailed digital surface model (DSM), which serves primarily for geological purposes, in the form of a textured cloud comprising several hundreds of millions of points in a local coordinate system. Another output was a current orthophoto in different image resolutions. Since the hilly terrain made it difficult to create flight plans for the UAV to map in terms of overlapping and image resolution, the entire mine was mapped in high density by conducting multiple mapping flights at different heights and with different image resolutions to ensure detailed mine coverage.